Well that one day in September is with us again and two top teams will meet to decide the premiership. This game will be dissected by a panel of experts down to every statistic available on contested possessions, effective kicks, clearances and whatever else they can use to help you determine who is going to win the game. But Grand Finals are a separate issue and how fit you are above the shoulders usually has a lot to do with how well you are going to play on the day. The teams are fairly even in positions across the ground and you have to admire Sydney getting this far when it was unexpected at the start of the season. With that in mind and watching the Adelaide Crows almost beat the Hawks you can expect a close game because the Swans don’t come across as a mentally weak side. Hawthorn has been a little bit better in games against top sides like Geelong and Collingwood but looking at the ladder there wasn’t a lot separating the top 4 teams in wins and losses anyway. Grand Finals are all about pressure and the better players play well under pressure, making less mistakes resulting in less turnovers. Can Sydney deny the Hawks something that most experts have said belongs to them? I believe that Hawthorn has far more goal kicking options than the Swans and if I remember correctly the highest score wins the game. I have picked a 5 goal margin because when a team knows they are going to lose a GF they seem to allow easy last minute goals to the opposition even though the game may have been tight and tough for 95% of the match. Apart from Collingwood looking and playing pretty flat the Sydney Swans were magnificent, creating a bit of history finally winning after a long dry spell of games at ANZ Stadium. How much were the bookies paying for the Swans to win the premiership at the start of the season? No doubt a few Sydney supporters might be in for a nice payout should they get up next week because nobody else in their right mind would have placed any big bets on that result. While the Pies will not be using or mentioning the funeral of J-Mac as being an emotional drain it’s possible that a 6 day break and the service for a team mate could have left the players tired and a little dispirited. It’s understandable. Sydney didn’t leave any openings for Collingwood in this game and led from the early minutes and never looked like losing. 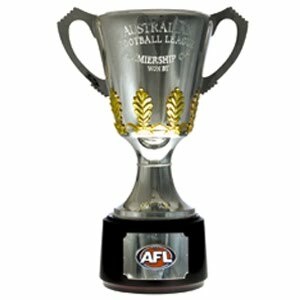 They are a realistic chance next week against Hawthorn and probably one of 2 or 3 teams that can beat the Hawks in the Grand Final. The Crows played this game as the tagged underdog and with nothing to lose and a Grand Final appearance to gain they almost pulled it off. They actually kicked more goals than Hawthorn but still lost the match! Remember that Adelaide finished 14th last season with just 7 wins so the turnaround has been nothing short of amazing. Whether the Hawks believed their own press and went into the game slightly overconfident I don’t know but they will need to play at their best next week to beat Sydney who is in red- hot form. Maybe the team balance was thrown out with the omission of Hodge with some stomach virus. 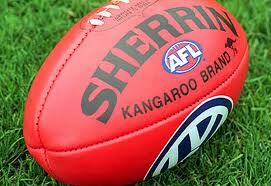 I wonder if the Swans and the Hawks can kick the same scores next week that they got this week? Wouldn’t that be a fascinatingly exciting game?! You Can Drink Beer and Lose weight: Manly Gone!! This week promises to be a huge week for all NRL Supporters.Two big games and both having interest for differing reasons. Friday Night sees the Cowboys and Manlyplay each other to see who faces off against the Storm, in the Grand Final Qualifier. Manly are off the boil with punters and fans alike, with injuries and suspension really crueling their chances, but as can often happen this may in fact give Manly an edge. The Cowboys have hit form, but as most long-suffering Cowboys fans know, they can be inconsistent, world-beaters one week, easy beats the next. The one big thing is that their front rowers Matt Scott and Jamie Tamou are really taking the team forward, rolling the sleeves up and building a huge platform. This form must continue if they want to progress. The game went to script for Hawthorn and at the end of each quarter they edged further and further ahead of the Pies who battled valiantly and even posted a 1 point lead in that 3rd quarter. That was short lived as each time Collingwood closed the gap the Hawks were able to kick the next couple of goals. Listening to the game it sounded like it was tough and hard but I also heard that quite a few Collingwood players were small contributors, something you cannot afford to do against the top team. Hawthorn earns a rest and the Pies face West Coast next week at the MCG. Well Week 1 finals have been completed and what have we learnt.Well, in my eye, the Storm and the Bulldogs have certainly showed that they step up to the mark come finals time, but will they be the teams to beat. 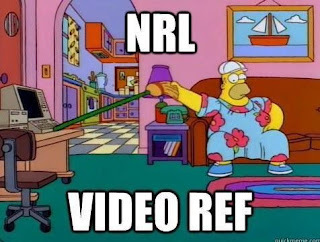 But before I digress, I will just add that the Broncos and Sharks kick off Mad Monday celebrations and deservedly so bringing poor form into the finals and lost. They finish 2012 somewhat as overachievers and both teams bring good lists into 2013. This week we see Manly and Cowboys square off on Friday and then Souths taking on Canberra. I believe that the eventual Premiers are playing this weekend. The Cowboys have another gear to step up to, and they have that X Factor of JT and Bowen and now that Michael Morgan is playing with confidence, they could do anything. The Bunnies, will be much better for their first finals game in a generation and they will bounce back. In my eyes, the Cowboys and Bunnies would be my favourites for the Flag. I dont discount the Storm or the Doggies......could you imagine if Souths make the big dance. NRL ! 2012. The Permian Panthers 2012 football season kicks off in El Paso vs the Montwood Rams. The Rams have annually been one of the top programs in El Paso, and are coming off a 9-3 season. Expected to lead the Rams this season is senior QB Angel Garcia. Garcia passed for 3,200 yards and 39 touchdowns in 2011. As of this writing Garcia is serving a suspension and is not expected to play this week, but that should not change the game plan. Montwood likes to throw the ball, and throw it again. Expect a heavy dose of quick hitches and screens to talented receivers Warren Redix and Ruben Solis. Redix was named the District 1-5A Newcomer of The Year after scoring 22 touchdowns last season. On defense, the Rams typically set up in a 3-4 alignment with both outside backers on the line. Jacob Chavez returns to lead the secondary and has 4.4 speed. LB Felipe Martinez is solid in the middle. Redix also helps out on defense. Back on the Black side, the Panthers offense will benefit from the return of WR Dez Daniels and H-Back Mikorbin Fields. Kickoff is set for 8:00pm CST, August 31st at the Socorro ISD Student Activities Complex. Visit the GAMEDAY CENTRAL Page for complete game information. On Thursday, the JV teams fell to their Midland Lee counterparts at Ratliff Stadium. Black was on the wrong end of a 36-22 score, while White fell to Lee Silver 34-14.